I went to the Harvard Book Store Warehouse sale the first year, and there are a lot of books! If you have the fortitude, you may even find some gifts for people. The Somerville warehouse is open again this weekend. About 30 artists will display and selling their stuff like jewelry, paintings, prints, photography, ceramics/pottery, "paper arts", "functional textile art", and more. 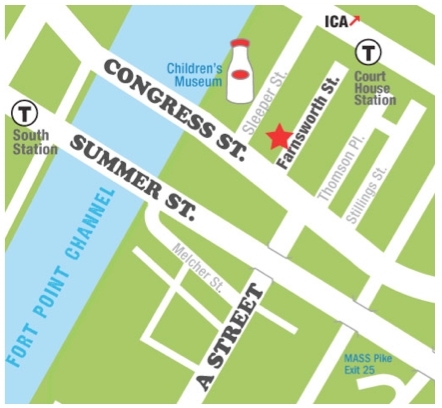 There are other open-studio/holiday-sales this weekend in Charlestown and Hyde Park. Look at this way -- buying gifts of art ensures that somebody else has bought the identical item for your loved one. Yeah, they want you to pay a dollar to go shopping. There will a lot of artsy-crafty vendors with loads of cool stuff. I've usually walked out with more stuff for myself than others. They have some shopping tips for people. If you're in Harvard Square, grab a free potato pancake. It's becoming an annual tradition for various nearby restaurants donate hundreds of latkes and condiments in the Chanukkah spirit. If you haven't heard Sarah Jaffe yet, there's a good chance you will eventually. So why not today? Top-notch singer-songwriters Jaffe and Ben Weaver are touring together, and they joined by our local Clara Bones.